Our Planet is the kind of nature show where every image could be a screen saver: sweeping, dramatic landscapes full of colorful animals. But among the high-definition scenes of lions on the hunt, there are some images you don't often see in these kinds of shows. 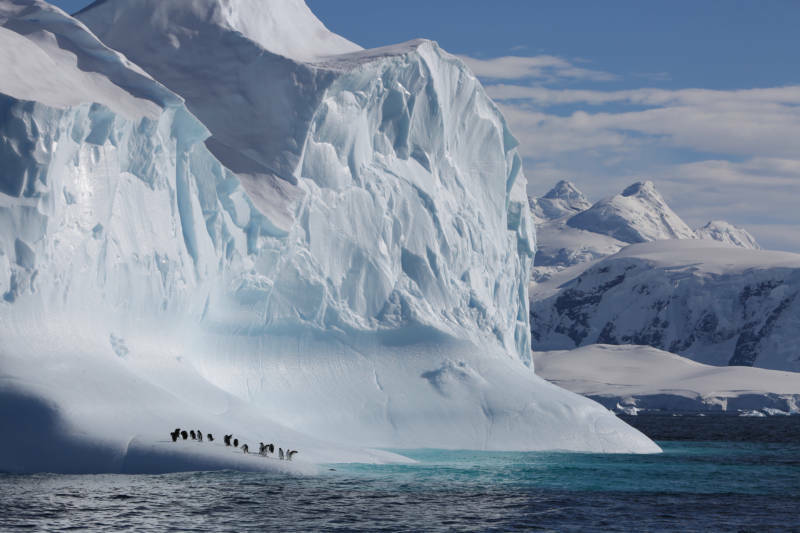 Tropical reefs bleach into white bone-scapes; glaciers crumble into Arctic seas. In one particularly noteworthy sequence, confused walruses plummet off a cliff to their deaths—a phenomenon that the show links to climate change and the decline of the walrus' preferred habitat of sea ice. Series producer Alastair Fothergill was responsible for some of the most high-profile nature documentaries of the last decade: Planet Earth, Blue Planet, Frozen Planet. In an interview, he says that it has previously been difficult to include environmental messaging in prime-time, mass-audience programming—and even so, that Our Planet is careful to show where earth is still very healthy, or has bounced back. "We decided way back, actually in 2012, that the time had come to try and do a series which would be as entertaining and as accessible as series like Planet Earth—but for the first time deal in depth with the challenges that our planet faces," Fothergill says. "There's no doubt that it is seriously under threat. And we felt that it was a story that urgently needed telling now." I think the Siberian tiger is a wonderful achievement. It's the first intimate images of these amazing cats in the wild. And to give you a sense of how difficult it was, over two winters, three cameramen were literally locked away inside wooden hides. They didn't come out for six weeks. Everything you need to do to survive, they did inside the small box. And they worked for two winters. 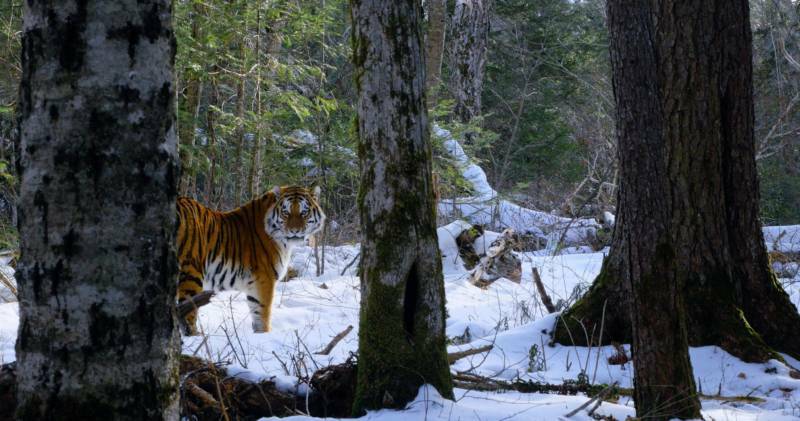 They got one single shot of a wild Siberian tiger. At the same time, we had in about 40 motion-control cameras—remote cameras that are set off by the moving animal. And again, the first winter we got nothing really. We got lynx going past, other animals of the forest. But over that period we began to see the movements of the tigers, how they were moving in that area. And the second season we got 36 precious, precious images. For me, it's a wonderfully emblematic sequence of a wonderfully rare, wild, iconic species of the boreal forest. You know, failure is my job, and we failed a lot. Often to get the sequence, we'd go one season—as I described the Siberian tiger—back and back and back. And yes, there are things that we still have to do and still have to film—which is great, because I've still got the life in me. The patch of forest where we were filming was destroyed by the end of our filming period, yes. It was desperately, desperately sad. I mean, you know, Madagascar is a poor country. There's a lot of pressure; people need land. But the traditional forest—there's only 3 percent left. It's got so many precious, precious animals there. We really need to help those people to preserve the lemurs and all the wonderful forests that they live in. Thirty-three years ago, of course, famously the [nuclear] reactor at Chernobyl exploded. It was probably the greatest environmental disaster in living memory. 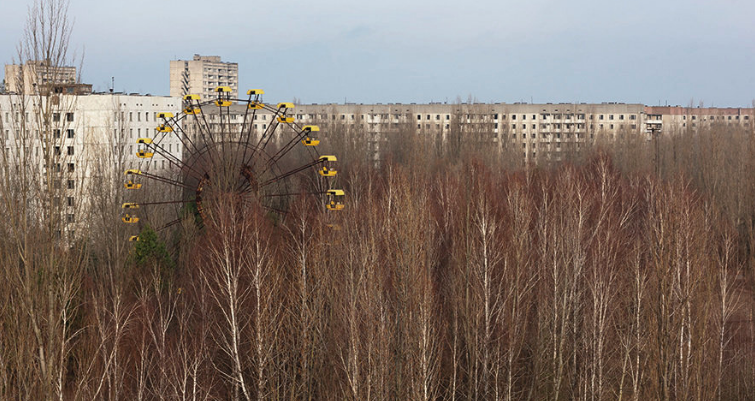 And 30 years later, we ... go back and amazingly, the forest, the resilient forest, has overtaken Chernobyl. It's a green oasis now. And because people can't go there for very long because of the radiation—it's dangerous for us to stay there for a long period—it's been left alone. And we found that an enormous variety of animals had returned, including the wolf. The wolf is an apex predator. The wolves are only there if beneath it, there's a very, very healthy community. And we now know that there are seven times more wolves in the Chernobyl exclusion zone than anywhere else in Eastern Europe. And the key point—and it's very important in our series to remind people—[is] that nature is resilient. And if we give it space, if we work together to preserve it, it can bounce back. And Chernobyl is a wonderful example of that.